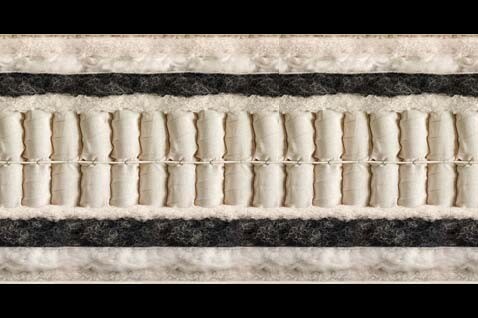 The Signatory luxury bed by Vi-Spring provides a sumptuous night’s rest that is best described by the hand-selected materials from which it is delicately crafted: Cashmere, Shetland Isle wool, and hand-teased long stranded horsehair. The Signatory rests atop a dual-layered vanadium wire innerspring support system comprised of springs that are just 1.97 inches in diameter, housing a greater number of individual springs for added body support and comfort. Dual-layered Vanadium Wire Springs. Wire springs are 1.97 inches (50 mm) in diameter and come sewn in to individual calico pockets. Innerspring support system is hand formed into a honeycomb-nested unit. For added support and comfort, the Signatory features two layers of vanadium wire springs. Hand-stitched Border. Each Shetland Superb features a border that is 9.1 inches (23 cm) deep and reinforced with 4 rows of hand-stitching on all sides. Each side of the Signatory has air vents to promote air circulation and ideal temperature regulation. Borders are upholstered with all-natural coir and wool, featuring piped ticking for added softness. Shetland Isle Wool Upholstery. 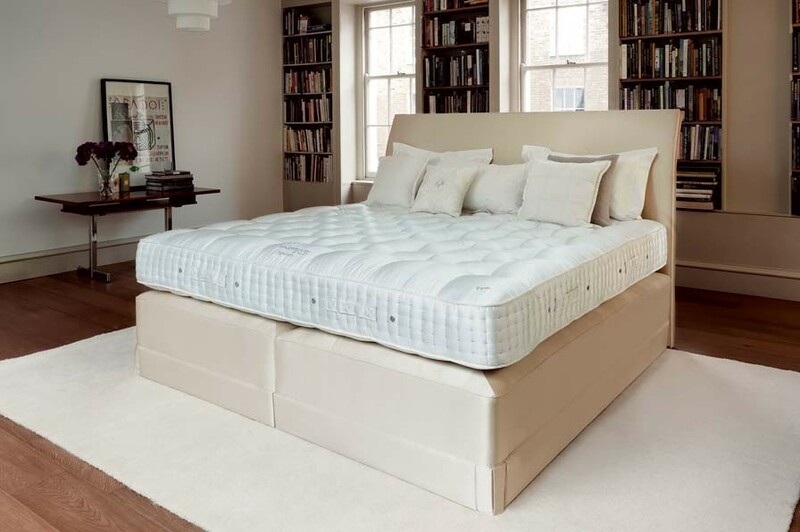 The Signatory is upholstered with authentic Shetland Isle fleece wool for soft sleeping surface that naturally regulates mattress temperature and humidity. Plush Cashmere Comfort. The Signatory is the first of the Vi-Spring luxury bedding collection to feature a full layer of premium cashmere. A material once reserved exclusively for royalty, the cashmere comfort layer of the Signatory bed adds a touch of exquisite softness that is not found in any other luxury bed. Custom, Exotic Inner-mattress Fills. Choose from pure cashmere, hand-teased long stranded horsehair, Shetland Isle fleece wool, fine silk, and mohair. For additional information, please contact a Brickell Mattress executive. The Signatory by Vi-Spring is a remarkable luxury bed that must be experienced firsthand. 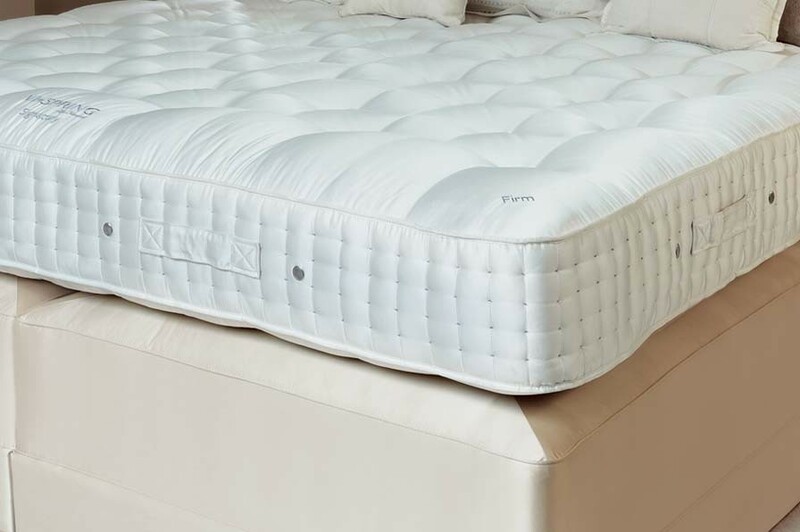 Brickell Mattress is proud to be the only luxury bedding store in Florida to carry the world-renowned line of Vi-Spring beds. For an exclusive showing, please call Brickell Mattress at 305.326.4000.